A month ago today the historic aircraft and airshow scene in the world saw the important return of a much-missed type. Bristol Blenheim/Bolingbroke Mk1 G-BPIV made its first flight following an 11-year restoration project. 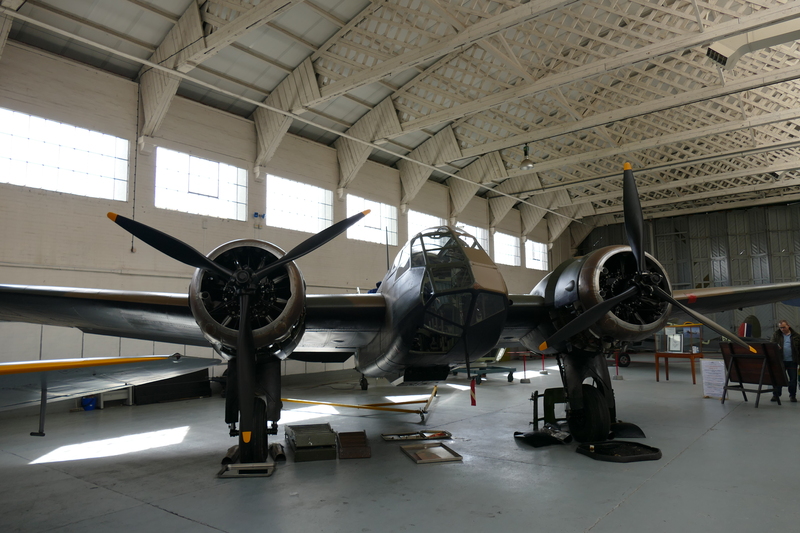 A more recent view of the Blenheim without covers. The aircraft suffered an unfortunate landing accident in 2003, having been a core part of the airshow scene since 1993, since then the team behind the aircraft have been working away steadily to return the aircraft to where it belongs. 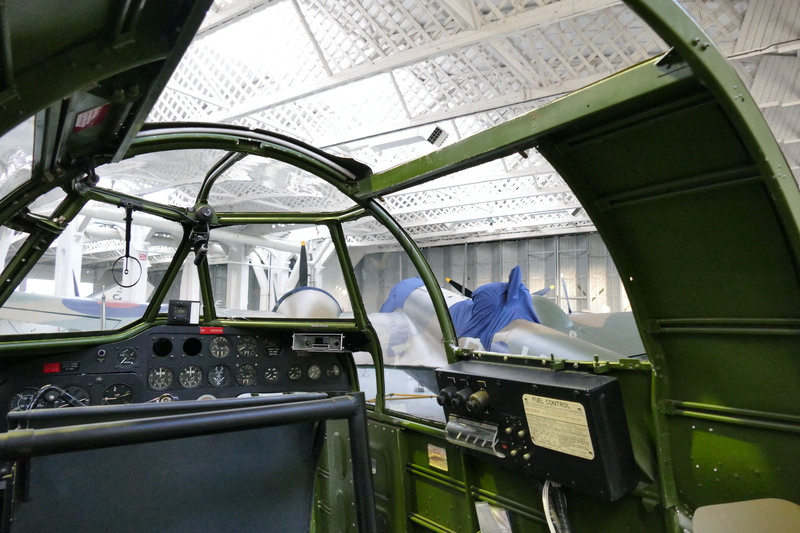 As the restoration progressed it was decided that the Blenheim would be restored to Mk1 standard. The most notable difference between the MkIV and I is the nose. The Blenheim in its past life as a Mk.IV variant. 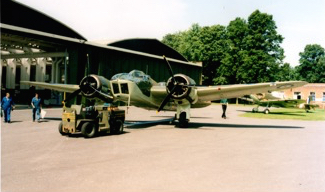 A number of people have commented on this aircraft being referred to as a Blenheim rather than a Bolingbroke. To my eyes it is a Blenheim, especially with the new MK1 style look. 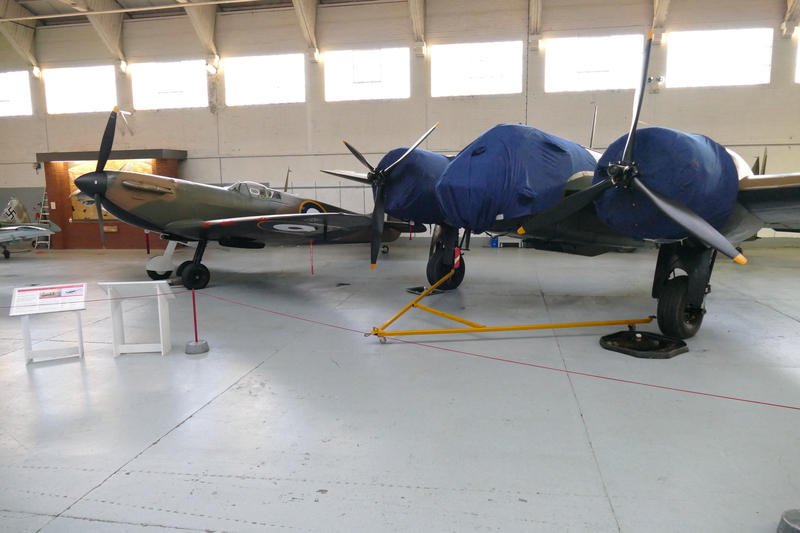 Rather than getting bogged down in the politics of what the aircraft should be called I think it’s key that the importance of this restoration is understood. As well as being the only flying example of the type it also represents the only complete representation of a Mk1 of the type. 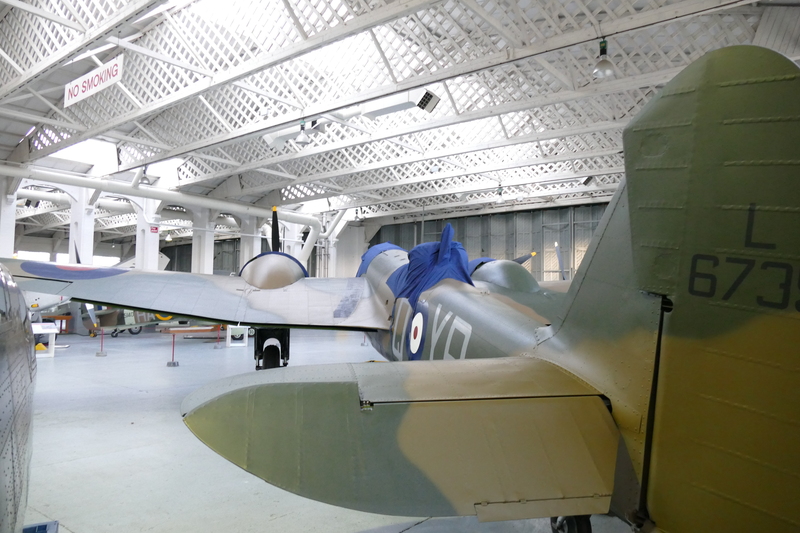 Keeping good company in Hangar 3 at Duxford. Although heavily covered up the quality of the restoration is still apparent. The Mk1 was a very similar design to the original prototype aircraft, powered by two 840hp Mercury engines. Originally flying in 1937 the Mk1 was essentially recalled by the time the war began, being replaced by the MkVI. In 1938 it was decided that some Mk1s would converted to a night fighter standard, which featured a gun pack in place of the bomb bay. This gun pack is evident on the recent restoration as well. 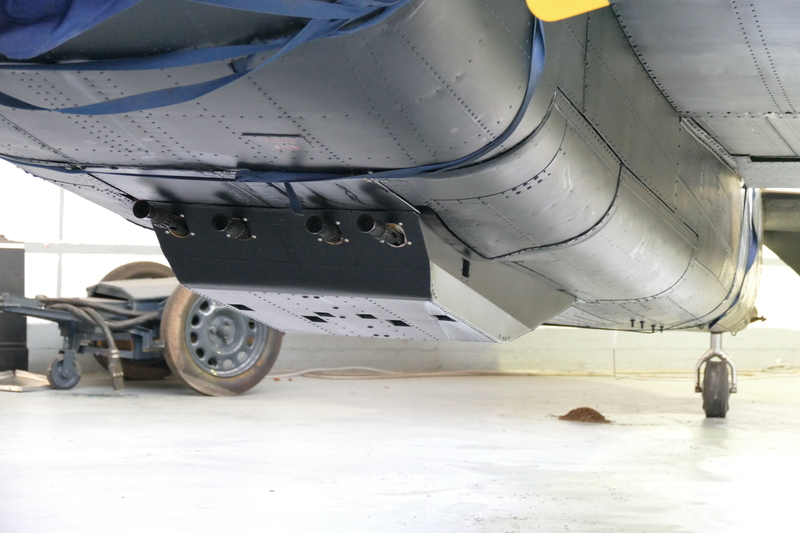 An Up-close look at the gun pack fitted to Night Fighter Blenheims. The Blenheims combat record is well documented as being poor, the aircraft suffered catastrophic losses, with entire squadrons being lost on more than one occasion. This poor performance led to the type being largely withdrawn in 1942. The new short nose configuration gives the aircraft a very different look. 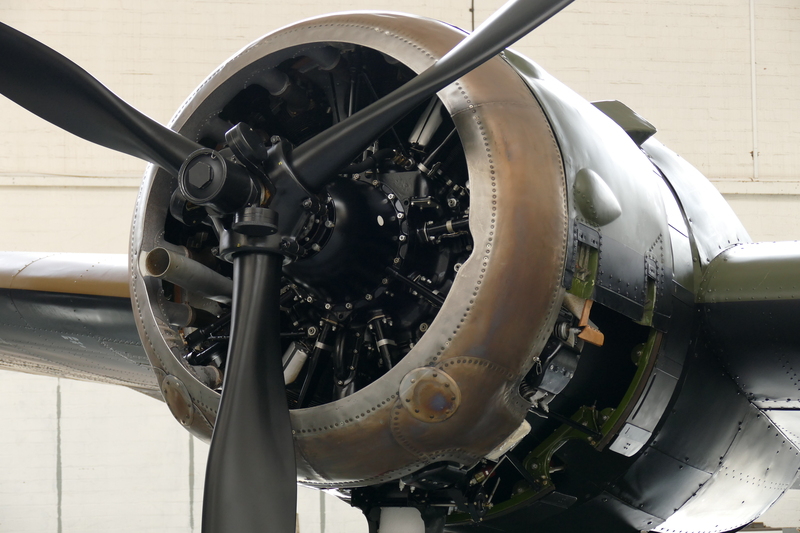 After engine runs were performed earlier this year it has been a long waiting game for enthusiasts to see when the aircraft would finally take to the skies again. All seemed to go quiet on the news front until the 19th of November, when John Romain took the Blenheim on a short taxi around Duxford late in the afternoon. Twenty-Four hours later John Romain was rolling down Duxfords runway for the first flight. Though sadly I couldn’t be there for the event, looking at the images it was clearly an impressive moment, with the aircraft returning in the twilight. The new restoration with the “Old” nose to the right of shot. Looking through the old Long Nose that sits next to the new restoration. 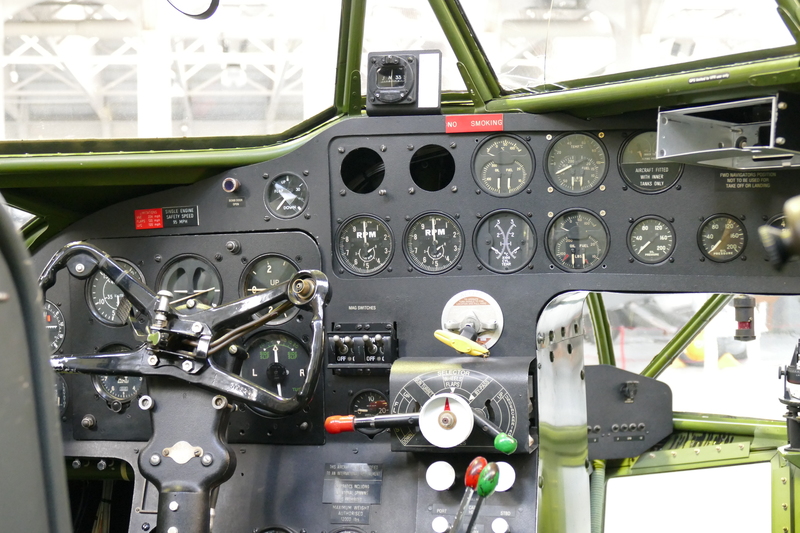 The Old nose offers an up close look at the instrument panel and cockpit layout of the type. A month on now since the initial first flight and the aircraft has performed three further test flights as part of its build up ready to display next year. 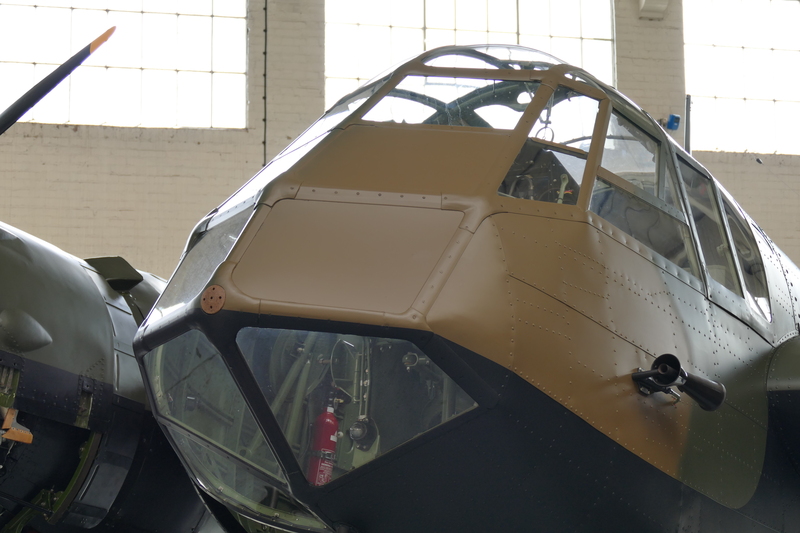 As of last week the Blenheim was placed in Hangar 3 at Duxford on public display. It certainly appears as if it is set for a winter break now as it has a number of covers in place. A close up look at one of the Mercury engines. 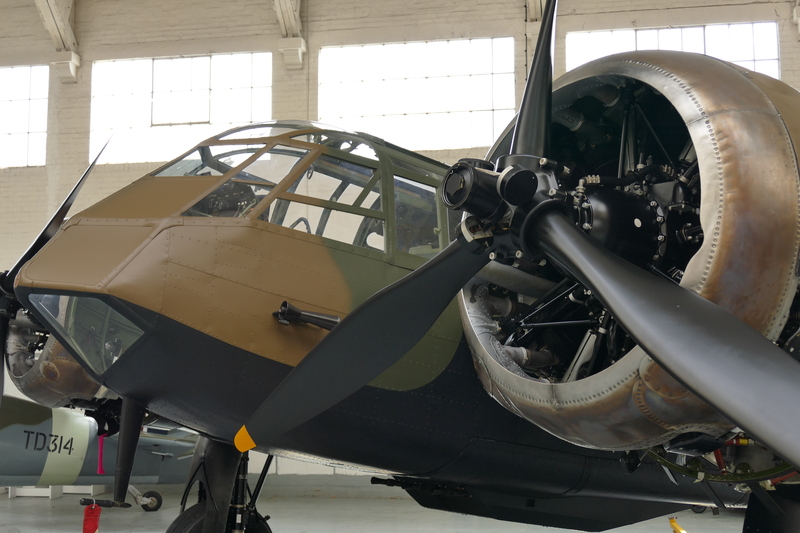 I’ve added a number of pictures of the aircraft in its old configuration as well as it covered up in the hangar at Duxford, I look forward to the New Year and finally seeing the Blenheim back in its element. 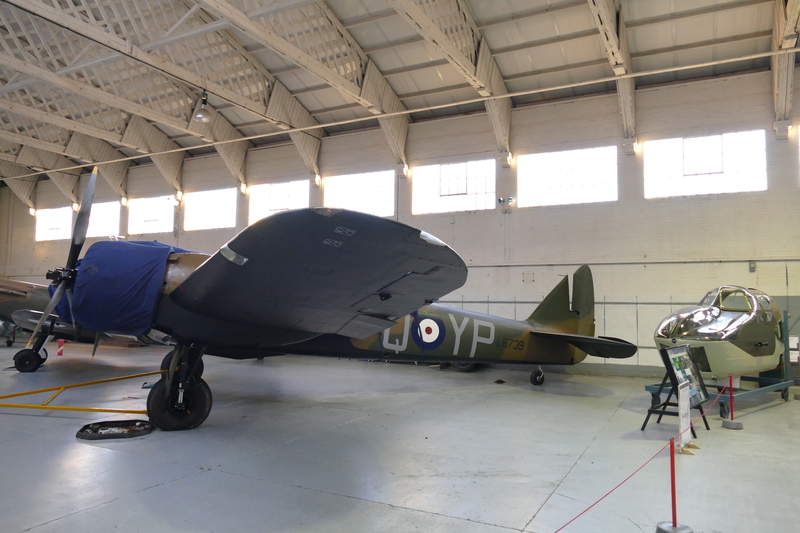 Update April 2015: As can be seen, the covers have been removed from the Blenheim as some adjustments are made prior to what already looks to be a busy season for the aircraft, I have added some more photographs to reflect the removal of covers. Hopefully before long I will be able to add some airborne shots. Airshow bookings are being released slowly but there are already quite a few on the horizon.